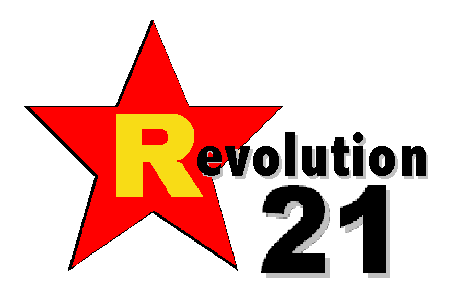 Revolution 21's Blog for the People: And you'll always walk alone. . . .
And you'll always walk alone. . . .
Erasing the "Jerry" out of "Help Jerry's Kids" is a work in progress. It took just a two-paragraph press release Wednesday evening to erase Jerry Lewis from both the Muscular Dystrophy Association and the Jerry Lewis MDA Labor Day Telethon, but it seems the MDA website is going to take a while. The browser-window title on the MDA home page now is a simple "Welcome to MDA | Muscular Dystrophy Association." Click on a subject header, though, and the comedy great still has top billing -- "Welcome to MDA | Muscular Dystrophy Association Helping Jerry's Kids." IT'S LIKE going to the Facebook page of a dead friend. What was still is, a memory so close you can almost touch it . . . trapped, still past perfect in electronic amber, defying the present just as our heart denies the new equation of loss. 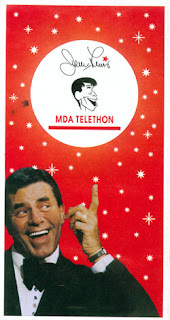 The MDA telethon without Jerry Lewis? How can this be? Four and a half decades of Labor Day telethons -- more than 60 years with MDA -- ended in four sentences, without even the previously announced fond farewell come September? Really? Then again, looking at last fall's tea leaves, it was pretty clear he was getting the ol' heave-ho even then, wasn't it? As John Katsilometes wrote last October in the Las Vegas Sun . . .
Jerry Lewis’ name has been synonymous with the “MDA Labor Day Telethon” for 45 years. Can we agree on this? "RICH MDA telethon history," they said. As in, "You're history, Jerry!" Either there's a hell of a story here, or loyalty is more of a one-way street than even I thought. And I'm a confirmed cynic. It couldn't have had anything to do with Jerry telling a little too much truth about the state of television today, could it? About perhaps making the wrong corporate enemies? About scaredy-cat professional fundraisers getting nervous about what the old man might say on live television during his last rodeo . . . which he didn't want to be his last rodeo? Most likely there's a hell of a story here about loyalty being a one-way street. And about how Jerry's kids suddenly became orphans. Speaking of Wossamotta U. . . .
El socialismo, sí! Darwinismo social, no! Simply '70s: He hates these cans! Anybody got a 6-cent stamp? Where have all the grown-ups gone? Help! Help! They're being repressed! 3 Chords & the Truth: Save the DJs! 3 Chords & the Truth: Cheerio, got a match? Not bad, Harvard and Yale. . . .
Have fun the last month? Just wait.